Forte raised funds to support the All School Read program at James Madison Memorial High School. Forte, through their generous donation, has helped us to meet these goals and we are grateful for this. 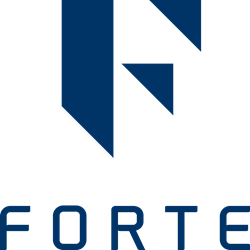 In support of their local community, Forte, an industry-leading developer of clinical research solutions, collaborated with James Madison Memorial High School to fund an All School Read program for Madison-area students, staff and families as part of their Adopt-a-School partnership. Forte team members and corporate raised and contributed $12,000 to purchase 2,200 books for all students and staff at James Madison Memorial and supported program-related exhibits and events. Throughout the month of April, program participants read Green Card Youth Voices: Immigration Stories from a Minneapolis High School and joined in multiple events and discussions related to key themes addressed in the book. Green Card Youth Voices is a collection of personal essays written and contributed by high school students who share their real experiences immigrating to the United States. Reading this book for the All School Read program gave students and community members an opportunity to learn more about the immigration process and openly discuss the impact it has on individuals and the community as a whole. “We embarked on this project with goals of building relationships, raising awareness, and educating our community about the immigrant experience. Forte, through their generous donation, has helped us to meet these goals and we are grateful for this,” said Maria Loyd, English teacher at James Madison Memorial. Program participants enjoyed multiple events held at James Madison Memorial, where individuals presented on relevant topics to incite discussion. Dr. Tea Rozman-Clark, executive director of the Minneapolis-based non-profit, Green Card Voices, also joined some of the events to answer questions and provide her unique perspective. “This book provides an excellent lens to help students and community members view the immigration process and those who live it. When speaking to Dr. Tea Rozman-Clark, she expressed the significance of telling personal stories to create empathy and compassion,” said Loyd. Program organizers were pleased with the level of participation and enthused to see students motivated to read and participate in group discussion. Forte will continue to support and participate in activities and events at James Madison Memorial, including volunteer tutoring, job search assistance, and more, as a part of the Adopt-a-School partnership.